Seven-year Academy member Eric Weingartner submitted this photo and caption. 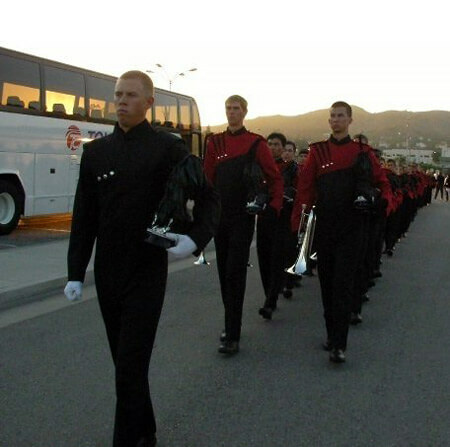 Leading the corps to our performance at Mt. San Antonio College in this photo is Andrew Hyrnyshyn. Following him are Jason Moore and me. Jason and I stood at 6'10" and 6'9" respectively, possibly making us the tallest duo in DCI!